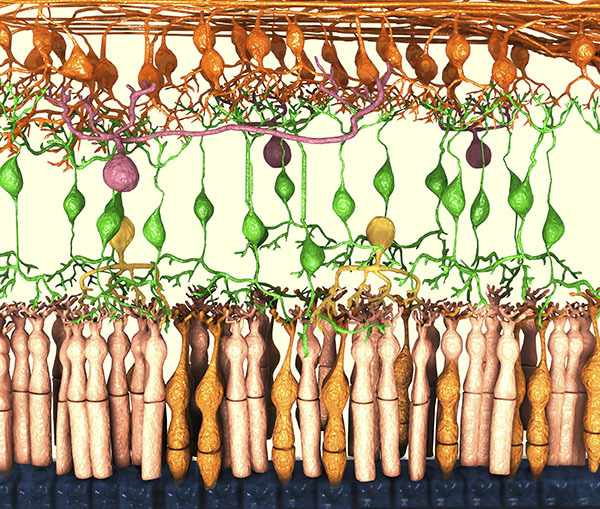 Artwork of cell layers of the retina. Gemini is focused on redefining AMD and linked disorders with precision medicine. Gemini’s ocular therapeutic candidates are matched to molecular abnormalities found in patients with high clinical need, and the company’s multimodal product engine has generated a rich pipeline including monoclonal antibodies, recombinant proteins, and gene therapies. Gemini is developing a series of first-in-class therapeutics for retinal diseases and complement-mediated systemic diseases.